This year Linn celebrates 45 years of excellence in designing and engineering some of the top products in the history of audio and in bringing you closer to your favorite music. The iconic Linn Sondek LP12 turntable demonstrated to the audio world how a turntable could fundamentally affect the sound of a system. 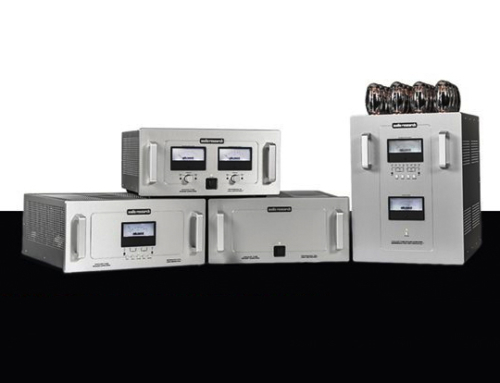 Their first preamp and power amp, the LK1 and LK2, featured many revolutionary technologies and made them the first specialist company to create products for every part of the hi-fi chain; and the Klimax DS digital stream player was the world’s first truly high-end network music player. In celebration of their 45th anniversary, Linn is offering their clients an opportunity to trade in a legacy Linn product and get 10% off on a new one. The legacy product doesn’t even need to be working. So dust off that old piece of Linn gear, and bring it in for an excellent performance upgrade. Visit Linn’s site here for more information and to discover some of their greatest products over the past 45 years, then contact us for the terms and conditions of the program. Offer good through August 27th, 2018.